The Spyderco Ladybug knife is a versatile and lightweight knife that is perfectly sized for attachment to your key chain. The VG-10 blade is hollow-ground and the thickness is uniform from heel to tip for great durability and strength. 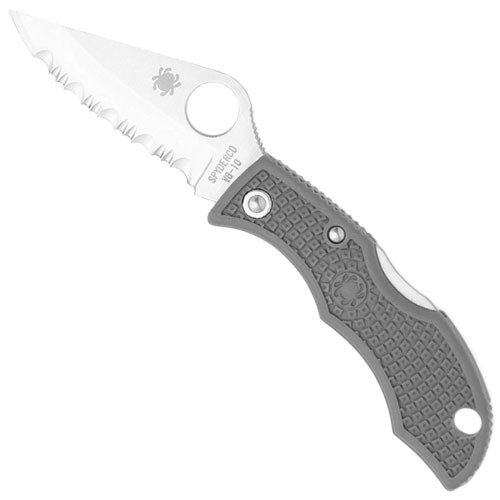 The FRN (fiberglass reinforced nylon) handle is Bi-Directionally Textured and new for 2009 is the foliage green Ladybug. The foliage green hue is used in the U.S. Army’s digital camouflage and has the uncanny ability to shade-shift from green to gray blending into surrounding colors and backgrounds, hence the pictures above may look gray. 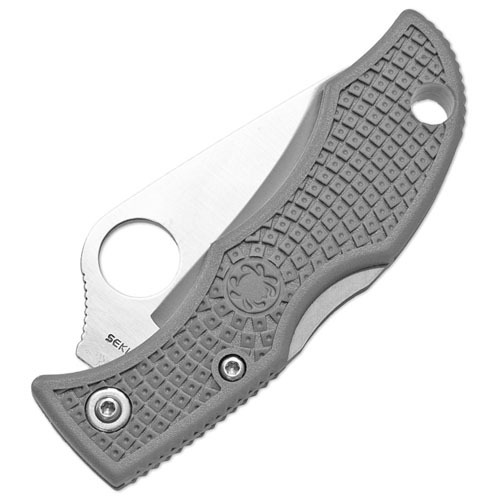 The relative position of the Spyderco Round Hole to the pivot and back-lock was key in its design so that even though very small, the folder opens one handedly and gives the perception of being larger in the hand than it truly is. Ladybugs are clipless, fitted with a lanyard hole for attachment to a keychain or thong.